when you start KawaChord for the first time, you are urged to activate it. Click the left button"#1" to generate a plugin key. 2. 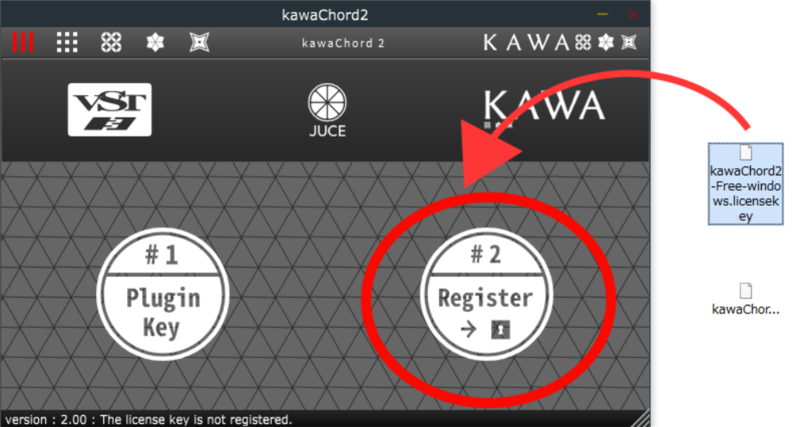 Register Plugin key to Kawa.works Account. 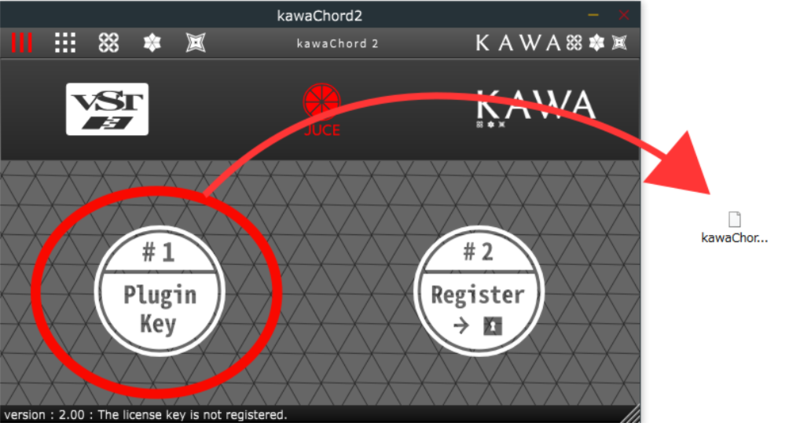 Register the plugin key in "My Downloadable Products" on your http://kawa.works account. if the plugin key is registered properly, you can download the license key. 4. Register LicenseKey to Plugin. Register the downloaded license key with the plugin by clicking the "Register button" on the right. Vst 2.4 and Vst 3 plugins are required to activate respectively but you can use the same license key. When you installed both “Free version“ and “Commercial version”, There may be cases where only one of them is recognized. When installing the commercial version, please move the free version to another place once or delete it before trying the installation. Please check the difference between similar name ".licensekey" and ".pluginKey".